I had every intention tonight to sit down and write a Christmas greeting blog to all our partners in ministry but due to the events of the day surrounding the shootings at the elementary school in Connecticut I am not feeling very festive at the moment. Today has been emotional for me, being the parent of a kindergartner my heart is breaking for the families of these children. I am sure many of you experienced the same gut wrenching emotion that came with picking up a child from school today. It may have just been me but I felt the thickness of grief yet relief in the eyes of all the parents and teachers as we held our children a little tighter. What posses a person to act out in such evil violence? This is the question that has plagued me today. Now I am no psychologist, not even close, but in my understanding there is no way that this person had any HOPE. A fellow friend in the ministry posted on my Facebook page today "You and Brandon will never know how many other tragedies will be stopped because of your dedication to the youth of our country" Wow! The feeling of responsibility in that statement is almost overwhelming to me, yet how amazing is our calling that we have the opportunity to offer hope to college students. I share this with you because I want to encourage you; everyone that claims to be a Christ follower is called to share the hope we have found in Jesus. Before my friend made that comment I was terrified, I wanted to wallow in the evil that plagues this world and all I cared about was protecting my children, but sometimes it takes the reminder of our calling to pull us out of ourselves and stay the course. 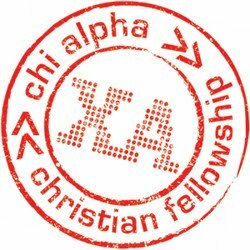 Due to the events of today I think we will go into our ministry with Chi Alpha with a different perspective. Perhaps we will have the chance to share with a troubled student the only hope he or she may ever know. I pulled up a few of my favorite verses on the Hope that is found in Jesus may they comfort you today and give you the strength to fulfill your calling.